BEIJING, Nov. 21, 2017 /PRNewswire/ — Gridsum Holding Inc. (“Gridsum” or the “Company”) (NASDAQ: GSUM), a leading provider of cloud-based big-data analytics and artificial intelligence (“AI”) solutions in China, today announced that it plans to release its unaudited financial results for the third quarter ended September 30, 2017 after the close of U.S. markets on Tuesday, November 28, 2017. Gridsum’s management team will host an earnings conference call at 7:30 PM Eastern Time on Tuesday, November 28, 2017 (or 8:30 AM Beijing Time on Wednesday, November 29, 2017) to discuss the financial results. A live and archived webcast of the conference call will be available through the Company’s investor relations website at http://ir.gridsum.com. This announcement contains forward-looking statements. These forward-looking statements are made under the “safe harbor” provisions of the U.S. Private Securities Litigation Reform Act of 1995. These statements can be identified by terminology such as “may,” “will,” “expects,” “anticipates,” “aims,” “future,” “intends,” “plans,” “believes,” “estimates,” “likely to” and similar statements. Among other things, quotations from management in this announcement as well as Gridsum’s strategic and operational plans contain forward-looking statements. Gridsum may also make written or oral forward-looking statements in its reports filed with, or furnished to, the U.S. Securities and Exchange Commission, in its annual reports to shareholders, in press releases and other written materials and in oral statements made by its officers, directors or employees to third parties. Statements that are not historical facts, including statements about Gridsum’s beliefs and expectations, are forward-looking statements. Forward-looking statements involve inherent risks and uncertainties. A number of factors could cause actual results to differ materially from those contained in any forward-looking statement, including but not limited to the following: unexpected difficulties in Gridsum’s pursuit of its goals and strategies; the unexpected developments, including slow growth, in the digital intelligence market; reduced demand for, and market acceptance of, Gridsum’s solutions; difficulties keeping and strengthening relationships with customers; potentially costly research and development activities; competitions in the digital intelligence market; PRC governmental policies relating to media, software, big data, the internet, internet content providers and online advertising; and general economic and business conditions in the regions where Gridsum provides solutions and services. Further information regarding these and other risks is included in Gridsum’s reports filed with, or furnished to, the Securities and Exchange Commission. All information provided in this press release and in the attachments is as of the date of this press release, and Gridsum undertakes no duty to update such information except as required under applicable law. Technavio’s report, Global Artificial Intelligence (AI) Market in Food and Beverage (F&B) Industry 2017-2021, has been prepared based on an in-depth market analysis with inputs from industry experts. The report covers the market landscape and its growth prospects over the coming years. The report also includes a discussion of the key vendors operating in this market. AUSTIN, Texas, Nov. 21, 2017 /PRNewswire/ — Nano Global, an Austin-based molecular data company, today announced that it is developing a chip using intellectual property (IP) from Arm, the world’s leading semiconductor IP company. The technology will help redefine how global health challenges – from superbugs to infectious diseases, and cancer are conquered. Nano™ is a trademark of Nano Global – all other trademarks are of their respective owners. Learn more about this event and register at http://on.bna.com/uwhN30gJg1D. E-Discovery Day is an industrywide initiative launched by Exterro aimed at promoting e-discovery awareness and education. The webcast on e-discovery news from 2017 will feature Ethan Bowers, managing editor for the E-Discovery Practice Center on Bloomberg Law, as an expert panelist. In Bloomberg Law’s other sponsored webcast, three e-discovery savvy judges will discuss how legal departments can meet evolving e-discovery court requirements with practical advice. To see all the E-Discovery Day events and for registration information, visit: http://on.bna.com/cdtR30gJg6t. 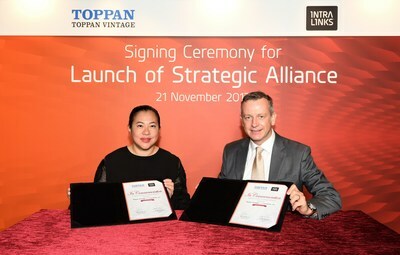 HONG KONG, Nov. 21, 2017 /PRNewswire/ — Toppan Vintage, a leading international financial printing, communications and technology company and Intralinks®, the world’s leading Virtual Data Room (VDR) provider, announced today a strategic partnership. Intralinks’ industry-leading virtual data rooms facilitate more than 6,000 transactions annually, serving a community of more than 4.1 million registered users. Intralinks’ VDR is the leading solution for high-stakes, strategic transactions from M&A due diligence to partnership negotiation. Their VDR capabilities feature complete document security, self-launch data rooms, artificial intelligence and mobile access. 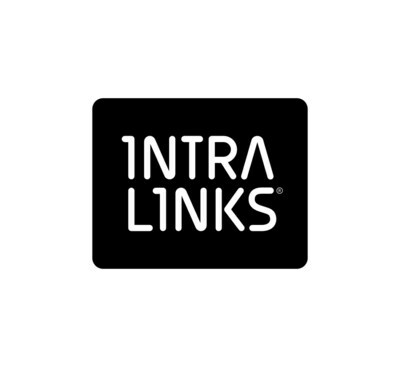 “Intralinks” and the Intralinks’ stylized logo are the registered trademarks of Intralinks, Inc. © 2017 Intralinks, Inc.
SAN FRANCISCO, Nov. 20, 2017 /PRNewswire/ — Blockstream, the leader in blockchain technologies and financial cryptography, and Digital Garage, Inc., the Japanese company that provides “new contexts” through the Internet by implementing three core technologies: IT (Information Technology), MT (Marketing Technology), and FT (Financial Technology), have entered into an expanded, multi-year strategic technology partnership to further accelerate blockchain initiatives and establish Japan as a leading market for blockchains. In addition to this partnership agreement, the DG Lab Fund I that has been in operation since July 2016 by DG Daiwa Ventures, Inc., a joint venture between Digital Garage, Inc. and Daiwa Securities Group, Inc., has invested in Blockstream, thereby raising the company’s total funding to date to more than $80 million (USD). The most recent investment by Digital Garage in Blockstream and expanded partnership with DG Lab are a testament to the fast pace of adoption of blockchain technologies across Asia, and beyond. DG Lab is an open innovation research and development organization established with Digital Garage, Kakaku.com, Inc., and Credit Saison Co., Ltd. As part of today’s announcement, DG Lab is announcing that The Tokyo Tanshi, one of the largest Japanese IDBs (Inter-Dealer Brokers), is joining the effort and will be working with DG Lab and Blockstream on a number of innovative blockchain projects. To begin, DG and Tokyo Tanshi will work with Blockstream to issue and circulate local currencies using blockchain technology and to enter the cryptocurrency OTC market. Today’s announcement of the expanded partnership builds on a successful collaboration that has been in place since early 2017. Recent joint activities have included the Blockchain Core Camp (BC2) event in Tokyo where more than 100 engineers from leading companies and the government sector gathered to learn how to use and deploy blockchain technologies available now and in the future, as well as the loyalty point demonstration released by DG Lab earlier this year that shows the transfer of assets on the Elements Blockchain Platform using its Confidential Transactions and Confidential Assets capabilities. The Elements Blockchain Platform is an open source initiative sponsored by Blockstream that builds on the Bitcoin blockchain codebase with advanced features for enterprise use. Elements powers a number of blockchain-based solutions, including Blockstream’s Liquid blockchain offering, which is currently being integrated by a number of Bitcoin exchanges in Japan and around the world. For more information on the Elements Blockchain platform, visit https://blockstream.com/technology/#elements. For more information on Liquid, visit https://blockstream.com/liquid/. Digital Garage is at the cutting edge of the Web, engaging in projects that have been recognized as “Japan’s first” endeavors in their respective genres. Digital Garage, along with Kakaku.com and Credit Saison, jointly founded “DG Lab”. DG Lab creates high level products and services with a focus on 5 core technologies: Blockchain, Artificial Intelligence (AI), Virtual Reality (VR) / Augmented Reality (AR), Security and Biotechnology. ROCKVILLE, Md., Nov. 21, 2017 /PRNewswire/ — Black Friday and Cyber Monday are almost here. Starting Friday, November 24, shoppers can get a head start on their Christmas shopping with some of the biggest sales of the season. But what do consumers want for Black Friday this year? Are they tweeting more about Black Friday or Cyber Monday? What are the most popular purchasing categories and brands? By harnessing the powerful AI features of the cognitive technology Cogito, Expert System analyzed a sample of 120,000 tweets in English, French, German, Spanish and Italian. Posted online from October 20 to November 20, 2017, tweets were associated with the most-used hashtags for the 2017 Black Friday and Cyber Monday such as #blackfriday, #BlackFriday2017, #cybermonday, #cybermondaydeals, #cyberweek etc. In the analysis of tweets dealing with the two shopping days offers a clear picture of the buzz around the two days: 75% of tweets are focused on Black Friday deals while 25% only are about Cyber Monday offers but the clear split between these two days is tending to disappear. In this scenario, Amazon is the king: in tweets in all languages, in fact, Amazon is the most frequently mentioned retailer also thanks to a huge advertising campaign dealing with the upcoming cyber week. According to the sample of 120,000 tweets analyzed by leveraging cognitive technology Cogito, high-tech products category is dominating the Twitter scene, and Apple is disruptive. Regardless of the language of tweets, Apple is the most cited brand in the high-tech sphere and, in the never-ending battle between iPhone and Galaxy, iPhone wins (69% of English tweets dealing with smartphones deals are focused on iPhone, 31% on Galaxy). Cyber week traditionally means also big deals on games and even in 2017 there is a lot of buzz around Microsoft Xbox and Sony PS4. By comparing the two products, in the English tweets MS Xbox wins (62% of English tweets dealing with gaming are focusing on Xbox). More details on Expert System analysis are available here and in this infographic. Expert System created Cogito, a cognitive computing technology that transforms the way organizations find, comprehend and use information. Cogito leverages proprietary artificial intelligence algorithms to deliver business value and ROI by extracting actionable knowledge from internal and external information and automating business processes. Cogito has been deployed to serve enterprises and government organizations in some of the world’s largest industries (Banking and Insurance, Pharmaceuticals, Oil and Gas, Publishing and Government) including companies such as Shell, Chevron, Eli Lilly, Nalco Champion, Bloomberg BNA, Sanofi, Thomson Reuters, Wiley, Wolters Kluwer, the U.S. Department of Agriculture and the U.S. Department of Justice. SINGAPORE, Nov. 20, 2017 /PRNewswire/ — UnionPay unveiled its vision for the future of e-payments with a technology showcase at the Singapore FinTech Festival (SFF) 2017 held from 13 to 17 November. Featuring UnionPay FacePay – a new face recognition technology that enables users to pay for purchases by taking a photo of their face; Sound Code – a new technology that encodes data into ultrasonic sound waves to enable interactive payments for users; Virtual Reality – a new application that allows retailers to visualise in-store layouts and the integration of new payment technologies prior to implementation; and an enhanced Risk Management System – which helps issuers and acquirers verify consumer data and evaluate creditworthiness in real-time to manage the risk of card fraud; these technologies are being tested in real-life scenarios in partnership with brands in Asia, offering visitors a glimpse into the future of e-payments. Joshua, an attendee from Silicon Valley who works in the science and technology industry, experienced UnionPay FacePay, and was intrigued by it, commenting: “UnionPay displays very strong innovation capability in FinTech.” UnionPay FacePay can reach 99.5% accuracy in facial recognition, and has a wide variety of potential applications in unattended scenarios. The technology is under pilot testing and is expected to be launched in Asia soon. Developed for attended and unattended sales scenarios, UnionPay FacePay enables users to pay for their purchases by leveraging face recognition technology. Users can link their facial identity to their payment accounts, and make hands-free payment by taking a photo of their face using the FacePay-enabled system. With a wide variety of potential applications in the food & beverage (F&B), retail industries as well as in unattended scenarios such as unmanned vending machines and more, this technology is being tested in partnership with LinkFace, and aims to be rolled out in Asia in the near future. Receiving information on an actor’s film accolades while watching their movies. Developed primarily for retailers to visualise in-store layouts and the integration of new payment technologies prior to actual implementation, UnionPay’s Virtual Reality solution is built using Unreal Engine 4 and the HTC Vive headset. By immersing users into a virtual retail environment modelled after the real world, UnionPay envisions a future where payment services will be integrated within the virtual reality space, enabling password-free payment based on biometric identification or computer vision. This solution is currently being tested in partnership with Beijing Sureal Network & Technology Co. Ltd, and will be rolled out at clothing and grocery stores in China, followed by implementation in other markets in Asia. As a holistic risk management system that helps issuers and acquirers improve their fraud mitigation procedures, UnionPay’s enhanced Risk Management System now features risk-based authentication, real-time fraud interception and near real-time card risk monitoring. The enhanced system not only helps issuers and acquirers verify consumer data in real-time, but also enables them to evaluate creditworthiness and personal credit risk to better manage the risks of card fraud and fraudulent use. “As a global payment brand focused on realising the vision for a cashless society, UnionPay continuously innovates by working with developers and partners to conceptualise new payment solutions that can enable convenience and ease of e-payments for consumers around the world. Through extensive research, rigorous testing and trial, our aim is to connect consumers, businesses and financial institutions with cost-effective and secure payment technologies that will define the world of payments. 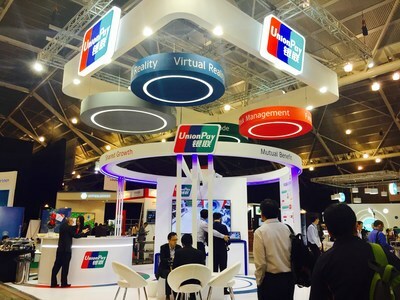 The technology showcase at the Singapore FinTech Festival 2017 marks the beginning of more payment innovations to come, as we intensify our efforts in harnessing artificial intelligence, blockchain, big data and cloud technologies to enable quicker, safer and more seamless payments for consumers and businesses,” said Mr. Shuan Ghaidan, Director of Products, UnionPay International. The 5-day Singapore FinTech Festival is the largest FinTech event in 2017, with about 300 participating companies from more than 40 countries and regions and over 25,000 attendees. Organizations have an unprecedented quantity of continuously generated unstructured data. Inquiro, DEXSTR’s Scientific Knowledge Management System significantly enhances the R&D digitalization process, turning unstructured data into actionable insight. Inquiro combines powerful scientific capability with innovative technology, including indexing, automatic metadata generation, big data storage and analytics. SHENZHEN, China, Nov. 21, 2017 /PRNewswire/ — Similar to the many garages where important technology companies have started, a London cafe may be considered as the cradle of the modern insurance industry. Lloyd’s Coffee House, near the River Thames, was a gathering place for mariners, merchants, and ship owners to discuss matters of interest to the community, including ship brokering, foreign trade, and the establishment of an auction market for the insurance market that later became Lloyd’s of London. From the burial of gold for use in the afterlife by the pharaohs of Egypt and the disaster relief reserves of ancient Babylonia, to modern insurance mechanisms, the insurance industry has constantly evolved with human society to meet everyone’s security needs. In recent years, higher levels of income have improved the standard of living for many people. One result of this phenomenon is the decision to buy insurance as a means to manage risk. However, the complicated nature of insurance products can easily dampen the desire of new customers to buy insurance. Further, traditional insurance marketing methods, such as cold calling, telemarketing, and face-to-face promotions are not keeping up with the fast-pace of Internet era business relationships. People are no longer merely obsessed with insurance clauses – they are more willing to pay for their ideal way of life. Therefore, the insurance industry of the future will face more long-tail customers and have to deal with more scenario-based personalization and customization needs. Driven by a variety of factors in the current market, traditional insurance companies face the need to restructure their operating paradigms based on current customer behaviors and update their business models for greater innovation. By doing so, they will be positioned to provide customers with smart, one-stop insurance services through all marketing channels, from consultancy to purchase, and insurance claims to renewal. Unlike food, clothing, or housing, insurance is not a basic necessity of peoples’ lives. It is for this reason that the insurance industry will always face challenges in the marketing phase. Traditional marketing tactics relied upon personal referrals and door-to-door promotional approaches – neither of which scale efficiently and are better suited to one-time purchases. However, in today’s cloud computing and Big Data era, the insurance industry has innate data advantages, as it now more possible than ever to deeply mine and analyze business data, customer information, and media information to create 360-degree customer profiles. The result is the ability to more accurately target potential customers and discover a wider range of opportunities by market segment or channel to make product innovations and gain better insights into the dynamics of the insurance market. Markets become more competitive when insurance companies are willing to reshape their business models and service patterns.